The Living room has a queen sleeper sofa and balcony entry to a table for two. Gorgeous view of the ocean from your sofa. The Ocean view Living room has Wi-Fi and a flat screen TV for your enjoyment. The Living room opens up to the Ocean view balcony. State of the art stainless steel appliances and marblesque counter tops in the newly renovated kitchen. The queen size bed in the bedroom makes a great place to lay your head after a day at the beach. Bunk beds are perfect for the "little ones" or your belongings. Lovely renovated bathroom has a shower/tub combination. Enjoy your morning coffee or an evening cocktail on the balcony. Table for two with an Ocean view! Welcome to Seaside villas an Ocean front property with a view! Building exterior with under building parking. Here's a look at the Exterior of Seaside 176. Seaside Villas have under building parking. Relax by the refreshing on-site swimming pool at Seaside Villas II. View of Seaside Villas from Ocean side of the property. Work on that tan at the oceanfront sun deck at Seaside Villas! Magnificent view of Seaside Villas from the beach! 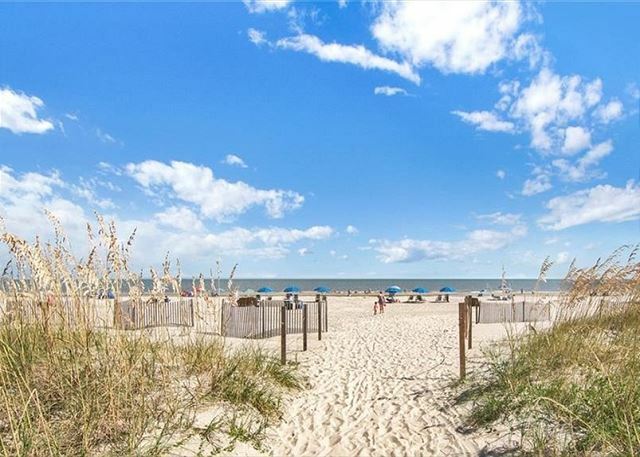 Seaside Villas is a short walk to Coligny Beach Park. Coligny Beach Park has wonderful fountains the kids of all ages love to play in or cool off. Coligny Beach Park has public restrooms with rocking chairs and swings. State of the art fitness equipment is available to keep on schedule with your exercise regime while away from home. Guests can enjoy an indoor heated lap Pool and Jacuzzi at the Players Club Fitness Center, which is included in your stay. 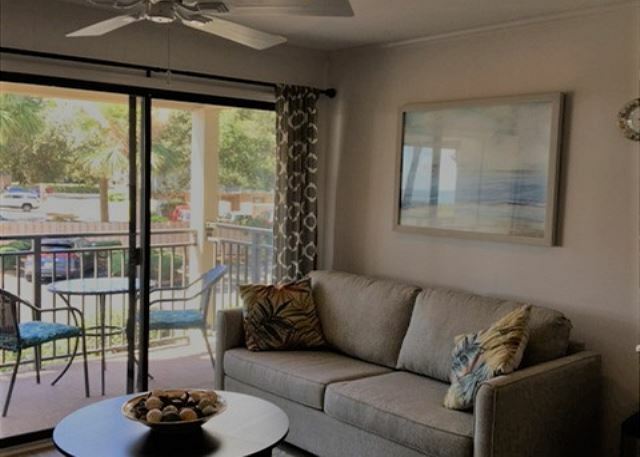 Seaside 176 is a nicely furnished one bedroom, one bathroom Oceanside villa on the first floor of an ocean front complex in the desirable South Forest Beach area. 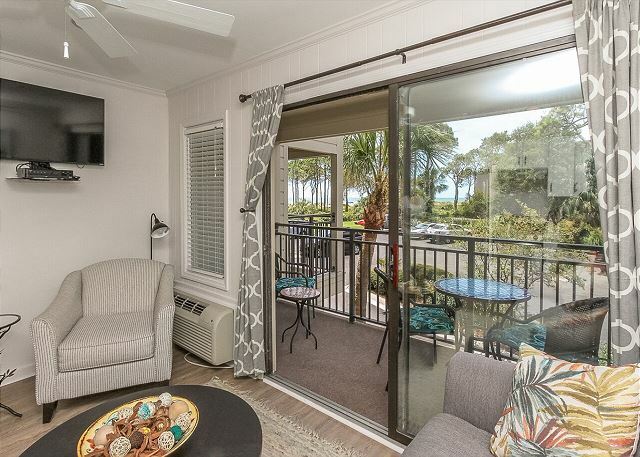 Enjoy the wonderful ocean views from your Seaside balcony. This villa is fully appointed with all the comforts of home including a full kitchen with stainless steel appliances. The bedding for this villa provides a queen size bed and two bunk beds which are ideal for small children only. 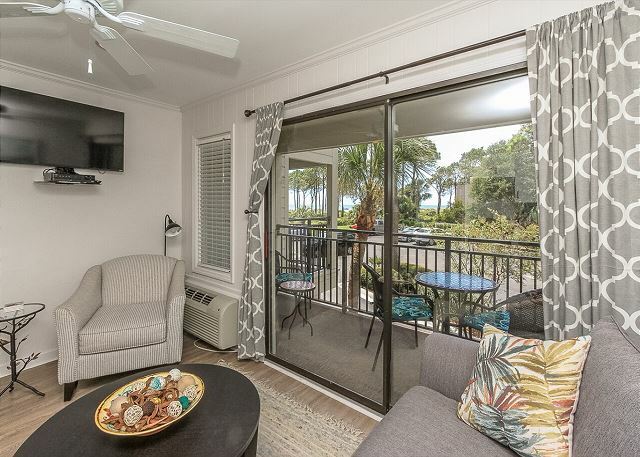 176 is located in an ocean front complex that is directly on the beach so there is no need to even cross the street to get to the beach! Everything you need for a memorable beach vacation is in this villa. Seaside Villas also has a beautiful pool with plenty of chairs, tables, and lounge chairs. 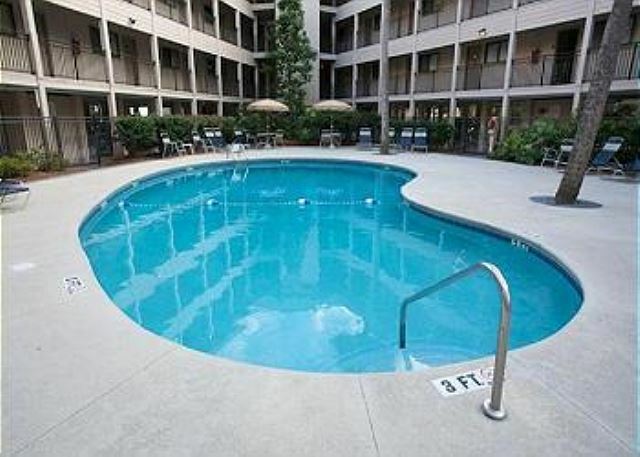 There is plenty of room to swim, play, sun, or just relax. Located just down from the Seaside Villas guest would have complimentary access to the Player’s Club for use of their indoor heated lap pool, hot tub and attached fitness center. If its golf you're after, there are dozens of golf courses within a short drive, including the famous Harbour Town Golf Links in Sea Pines. 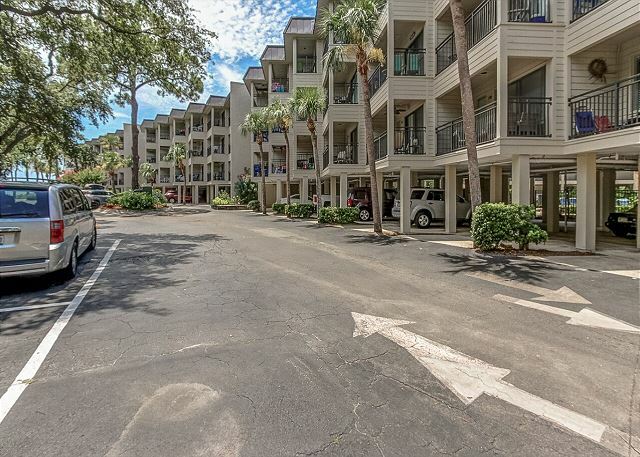 Outstanding shopping and restaurants are just a short walk away (.29 mi) at Coligny Plaza. Enjoy the island wide exercise path as well. You can jog, bike, walk, or roller blade, all while enjoying the plentiful lush greenery. **Call for Daily Rates & Availability; some restrictions may apply. This condo was perfect for my husband and I. The location is the best part of the condo. It is beach front and close to all of downtown's shops and restaurants. I don't think it would have worked had we brought our teenage boys- the bunk beds are too small. It reminded me of a cruise cabin only it had a very small living/kitchen area. For the price and location, however, it was perfect for the two of us! The perfect place to Relax! Great selection of restaurants near by. Clean, freshly decorated, everything we needed. Beautiful condo that was in a wonderful location on the island. A great stay! This apartment had everything we needed- perfect for a family of 3! The Vacation Time staff was very responsive - the epitome of southern hospitality! We had a pleasant experience at the Seaside Villa Room 176! It was easy check in and out and the location is PERFECT! We loved the room, it was clean and crisp and we didn't have to worry about anything except our vacation. Will definitely stay here again next time!